Groundbreaking on several counts, not the least of which was an innovative use of animation and stereophonic sound, this ambitious Disney feature has lost nothing to time since its release in 1940. 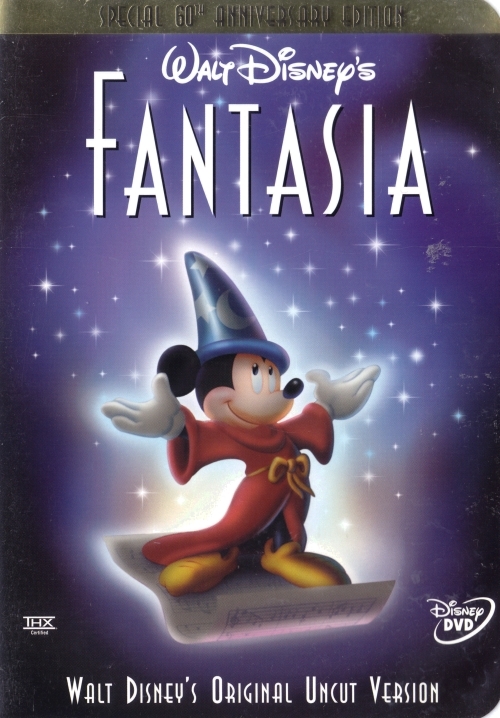 Classical music was interpreted by Disney animators, resulting in surreal fantasy and playful escapism. Leopold Stokowski and the Philadelphia Orchestra provided the music for eight segments by the composers Tchaikovsky, Moussorgsky, Stravinsky, Beethoven, Ponchielli, Bach, Dukas, and Schubert. Not all the sequences were created equally, but a few are simply glorious, such as "Night on Bald Mountain," "The Sorcerer's Apprentice," and "The Nutcracker Suite." The animation ranges from subtly delicate to fiercely bold. The screen bursts with color and action as creatures transmute and convention is thrust aside. The painstaking detail and saturated hues are unique to this film, unmatched even by more advanced technology.